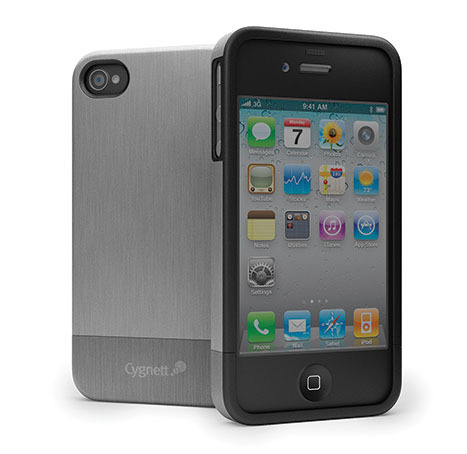 The Aviator aluminium iPhone 4 case by Cygnett has a cool sleek look and protects your iPhone from scratches. The iPhone 4 case allows access to all control and includes a screen protector and microfiber cleaning cloth. It has brushed aluminium finish and comes in silver and blue. 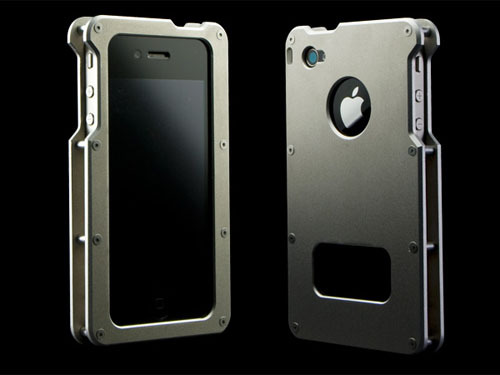 This lightweight Aluminum Jacket iPhone 4 case by Japanese company Abee is made of high-grade material. A cushion sheet is provided to protect your iPhone from impact and vibration. The matte satin-finish makes fingerprints and stains less visible. The iPhone 4 case comes in silver, black, blue , red, purple and gold.